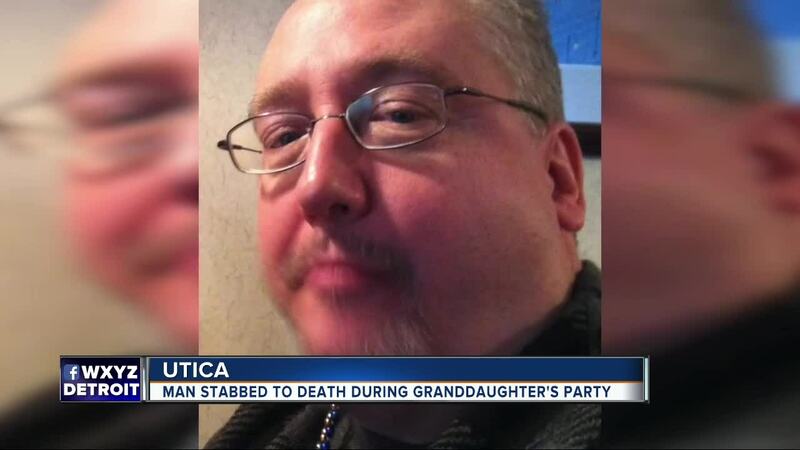 UTICA, Mich. — Shelby Township Police were called to the scene of a deadly stabbing in Utica, Michigan Saturday afternoon. Officers say a suspect is in custody after fatally stabbing an elderly man at Grant Park in Utica. The grandfather was attending his grandchild's first birthday when he reportedly approached a man on a bench doing drugs and asked him to stop. There were young child at the park for the birthday celebration at the time. The suspect then stood up and allegedly stabbed the victim at least 15 times, police say. About 10 cops and two ambulances were on the scene.